JayWalk - All Your Xmms Are Belong To Me: Missile Testing? 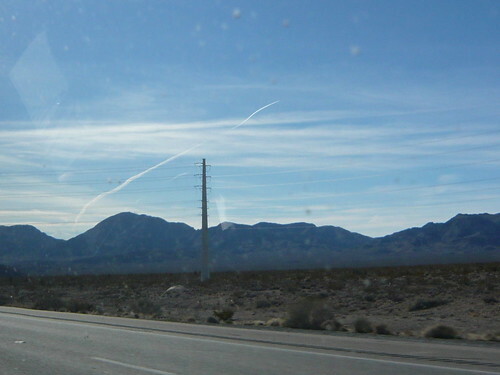 We were driving back to Los Angeles when we spotted this en route in the middle of the desert. Usually, this would have been an airplane cutting through the air and leaving a trail of vapour but those are usually straight as commercial airliners do not fly erratically. That was why it prompted me to take this photo as the vapour trailing was highly unusually, it almost seemed as it was that of a missile or a rocket of sorts. But where would they end up? Anyway, click on the picture to enlarge the picture. That should allow you to examine the vapour trail in greater detail.